TabSite is pleased to offer Facebook Social Plug-ins to help fan page Admins build more interactive tabs and create more fan engagement on Drag N Build Tabs. 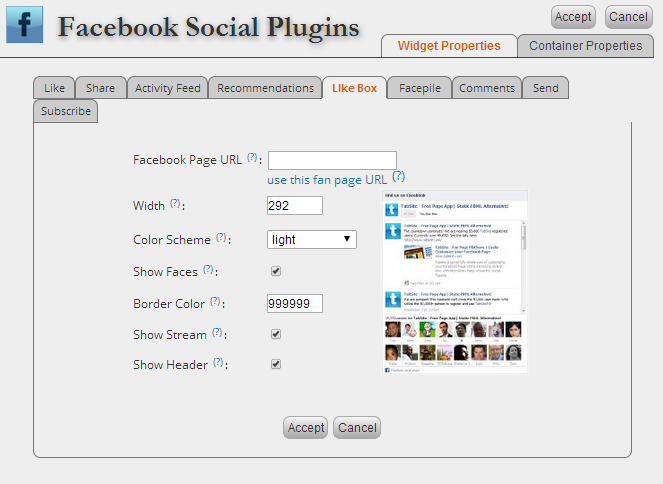 Select the Facebook widget shown from the widgets area. 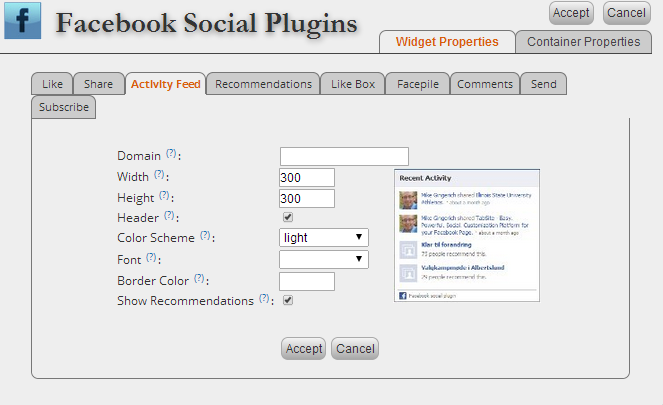 Select Social Plug-in to use and then complete the fields to finish setup. 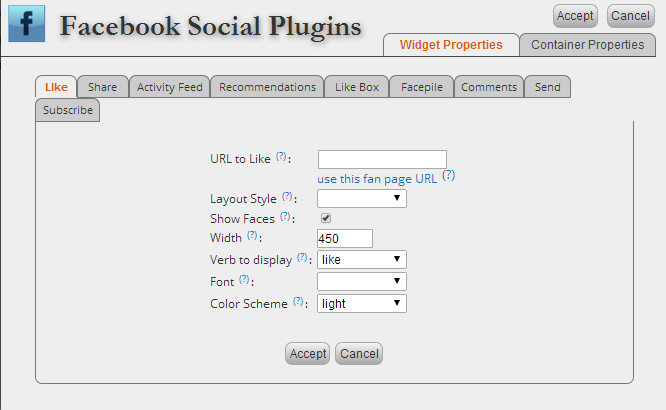 The Facebook Like Box enables users to “like” your Facebook Page and view its stream directly from your website. 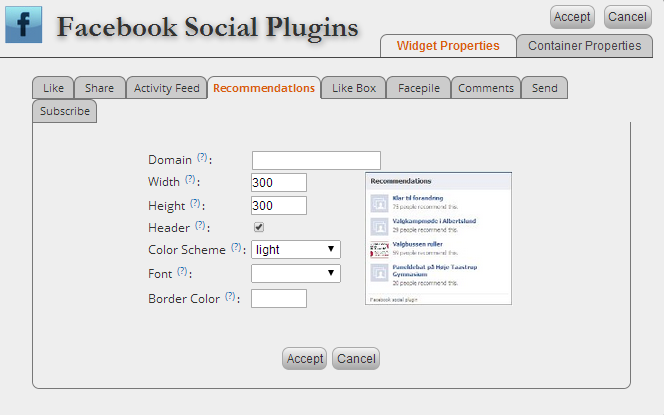 For starters, you can choose a pared-down box with your Facebook Page name, logo and Like button. The Facebook Recommendations plugin gives users personalized suggestions for pages on your site they might like, based on what people are sharing. 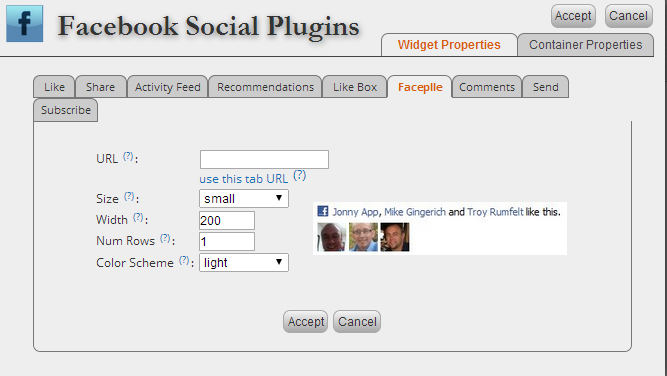 The Activity Feed Social plug-in displays the most interesting recent activity taking place on your site. Since the content is hosted by Facebook, the plugin can display personalized content whether or not the user has logged into your site. The activity feed displays stories when users like content on your site, when users share content from your site in Facebook or if they comment on a page on your site in the Comments box. Easy. Powerful. Social. That's TabSite!